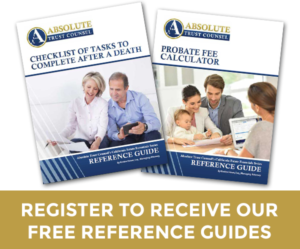 While some law firms offer general services meeting every conceivable legal need, Absolute Trust Counsel takes a different approach. California estate law is our specialty. It’s what we love and what we do best. Our focus is on serving our neighbors in Walnut Creek and the surrounding area. We work with seniors every day. 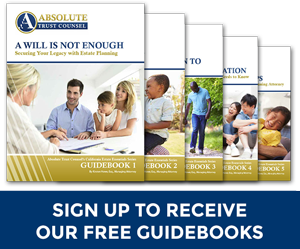 We work with families needing estate planning every day. We work with families who have lost loved ones and are now facing probate. We work with families who have members with special needs. We work with families needing nursing home assistance. Our belief is that this specialization and dedication translates to better results for our clients. Choosing the right attorney is always a decision that should be made thoughtfully, particularly when it comes to planning for your future. 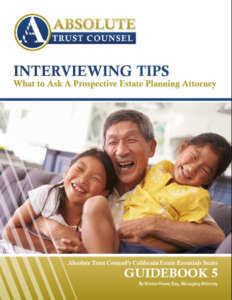 You need a legal team who will take the time to listen closely to you and gain a thorough understanding of your particular situation and your most pressing concerns, goals, and hopes for your legacy. We pride ourselves on practicing that sort of personalized law. We are a law practice that will be there for you and your family today, tomorrow and for years to come — a law firm for life. 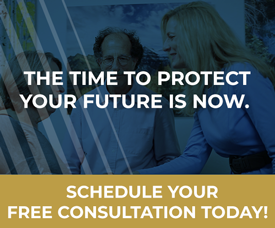 We welcome the opportunity to meet with you in person and discuss your particular needs and goals, and invite you to come in for a free consultation.